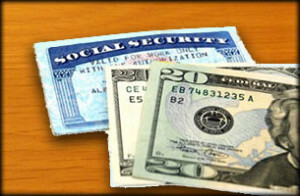 A Muskogee Social Security attorney can help you when you are pursuing a claim for Social Security benefits. Disability is not something most of us like to think about but life-changing disabilities affect more people than you might imagine. According to the Social Security Administration a 20-year old worker has a 3-in-10 chance of becoming disabled before retirement age. The U.S. government makes available two programs for those that are injured or disabled: the Social Security disability insurance program and the Supplemental Security Income (SSI) program. Both are processes require a lot of “red tape” – detailed forms and applications, medical records, hearings. That’s why, if you are applying for Social Security disability, you need the skill, experience and expertise of a social security lawyer at the Wirth Law Office – Muskogee. Are You Eligible for Disability? The Social Security Administration administers disability insurance and Supplemental Security Income (SSI) benefits. The government pays benefits to those who can’t work because of a a medical condition that doctors expect to last at least one year or to result in death. A Muskogee social security attorney can review your possible case because Federal law requires a very strict definition of disability. It’s important to note that other benefits programs may give financial compensation to people with a partial or short-term disability, Social Security does not do that. There are certain situations where family members of the disabled applicant could be eligible to receive compensation. A social security lawyer at our Muskogee, Oklahoma office can be of assist to those looking to submit a possible application. The application process for social security disability assistance can take anywhere from 3 to 5 months. Mistakes or omissions can drag the application process out even longer. That’s why discussing your situation with a Muskogee social security attorney could help streamline the process. The reason it takes that long is because you have to assemble a lot of paper work and forms need to be filled out properly. If you’re missing one little piece of the social security puzzle and it could add unneeded delays to the benefits to help you and your family survive this difficult time. The Social Security Administration has a 5-step test to determine if you qualify for benefits. 2) Is your medical condition severe? 3) Is your medical condition on the List of Impairments? 4) Can you do the work you did before? It’s not just a simple yes or no answer for all of the questions listed above. That’s why discussing you unique situation with a qualified Muskogee Social Security attorney can help you determine the next steps for applying for possible benefits. Contact the Wirth Law Office – Muskogee for a free consultation today with a Muskogee Social Security lawyer at (918) 913-0725 or call toll-free at (888) 447-7262. If you prefer to contact us by email, use the form at the top of this page or email firm@muskogeeattorney.pro.